Ethiopia relinquished $64 million dollars in 2012 by exporting their sesame seeds raw instead of hulled. Ethiopia is among the top 5 exporters of sesame seeds globally and arguably the largest exporter in Africa but sends 95% of it’s harvest abroad in its raw form. According to a Gro Intelligence infographic, there is a hefty price to pay for countries who export the bulk of their harvest in an unrefined form. Sesame seeds are Ethiopia’s 2nd most important export crop yet due to selling them raw instead of hulled, Ethiopia missed out on $64 million dollars in value add for 2012. The economic returns from hulling the sesame seeds could have been absorbed by the local economy, providing revenue for more jobs, infrastructure and a gain for the tax base. The missed opportunity for Ethiopia is an example replicated throughout the continent as well-meaning government agricultural programs and zealous tradesmen focus on the importance of raw exports over more sustainable opportunities in the processing of crops into useable finished products for sale both within and outside the country’s borders. 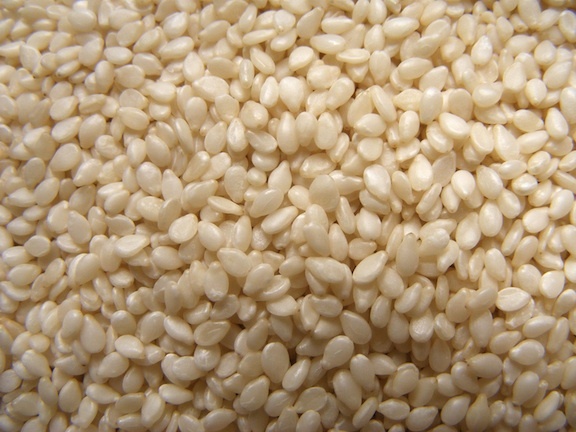 Nigeria is a top seven grower of sesame seeds globally and the second largest producer on the continent. It has seen its own government discussions on the potential for export, but here too, the usual discussion of export leads to a conversation on sending bulk goods abroad in their raw form, foregoing the larger financial and employment opportunities in producing for markets within its borders. As is the case with Ethiopia, Nigeria’s agricultural leaders are engaging in conversations to scale up sesame seed production primarily with a focus on export markets. While exporting agricultural products is a fine goal, doing so without developing a sustainable market for the refined version of the food crop leaves growers at the mercy of external buyers eager to pay the minimum for agricultural commodities in raw form. The question of what becomes the fate of agricultural commodities if and when international buyers choose to seek alternative suppliers has the potential to leave farmers vulnerable and without a market for harvested crops. The results of such a scenario could be disastrous, particularly for farmers whose crops only have export value. When the goals of federal agricultural schemes is to add value to cash crops we need to look beyond purely exporting these crops in raw form and create value for foods within their own borders.